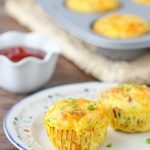 Hash Brown and Bacon Egg Muffins are such a cute breakfast option that are also easy to make, very filling and can even be prepared in advance. 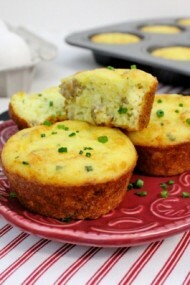 They are very versatile, so you can switch up the ingredients to make many different variations of egg muffins. I make extremely boring breakfasts during the week, but the weekends are a different story. 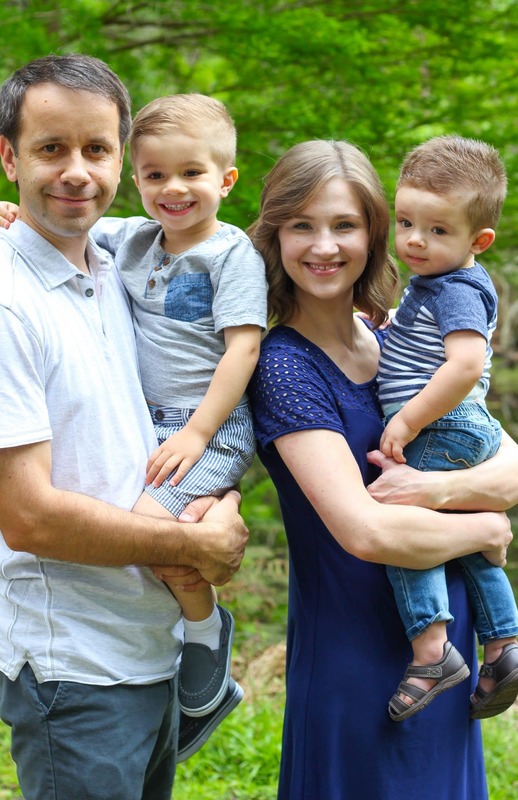 The weekends are my favorite because we are all home together, so I try to make our mornings a little bit special by having an epic breakfast for all of us to enjoy. Sometimes I make a potato hash with poached eggs and waffles, or buttermilk pancakes as well as a potato and onion frittata or a Quiche Lorraine. You guys, I LOVE breakfast. I really do, but sometimes, I want a nice breakfast and I also want to take a shower and make myself pretty without spending all day on just those two things. 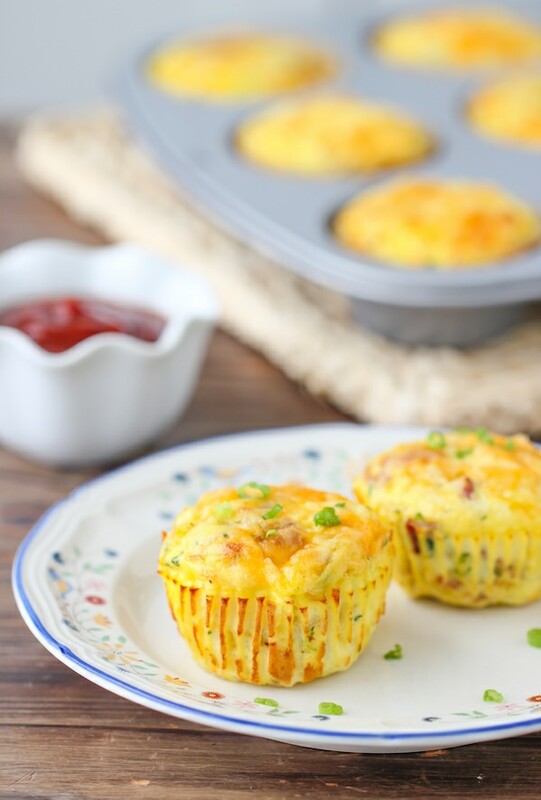 These Hash Brown and Bacon Egg Muffins make it possible for me to make a great breakfast for my family AND do my hair, and still have almost a complete Saturday to do something fun with my boys. 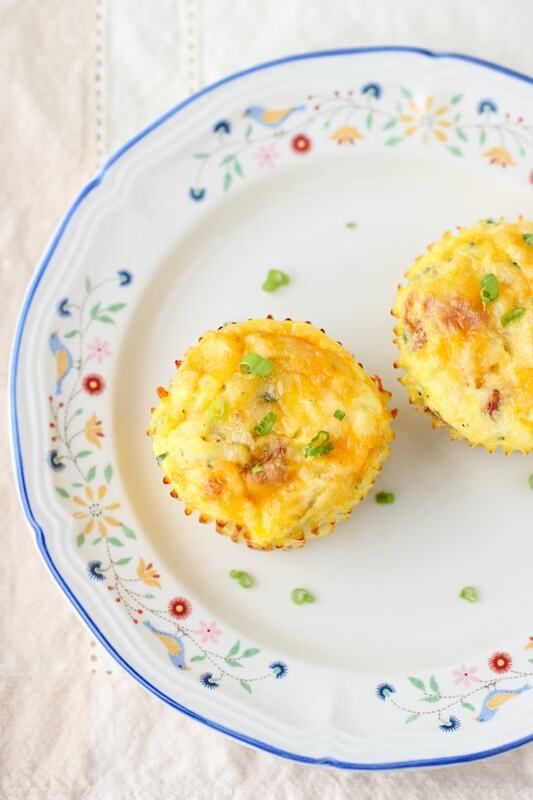 I’ve made so many different variations of these Egg Muffins and that’s what’s so great about them. Don’t feel like bacon? Use sausage or ham. Not in the mood for meat? Sauté some onions, peppers and mushrooms instead. 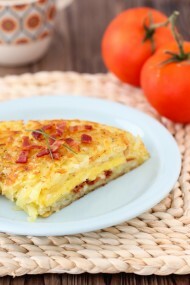 This version has hash browns, bacon and cheese, which is one of our favorites for sure. The tender, cheesy egg bites are so satisfying and are really cute too. Here’s the best part. You mix up the ingredients (you can even do this the night before, GASP) then you put it in the oven and go get yourself ready for the day. I make this breakfast for guests all the time so that I can get showered and dressed while breakfast is baking away in the oven. Then I come to the table with a cute outfit and makeup on and have this really impressive looking breakfast to serve my guests – especially if you serve them on a pretty plate. Oh, and if you’re heading out to the zoo or the beach with your entire side of the family and want to get there before the stifling Florida mid-day heat, these are the perfect breakfast to have on the go. Let me astound you even more. 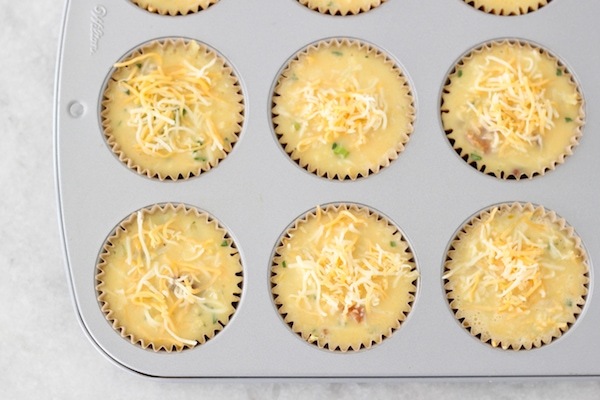 You can freeze these and just reheat when serving. Preheat the oven to 400 degrees Fahrenheit. Line 12 muffin pans with cupcake liners. I love these parchment baking liners because nothing sticks to them. They are amazing. Whenever I see them, I stock up, because they aren’t sold in all stores. 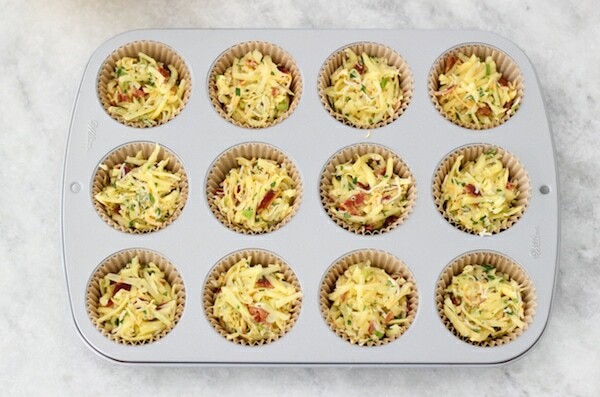 These are the only cupcake liners I use for everything, cupcakes, muffins and these egg muffins too. Then I don’t have to scrub my muffin pan, which is a real pain. 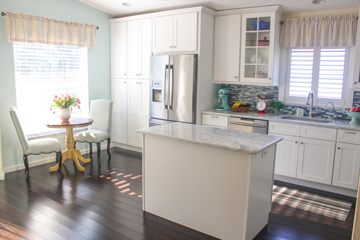 Cook the bacon on the stovetop or in the oven until crisp and golden brown. 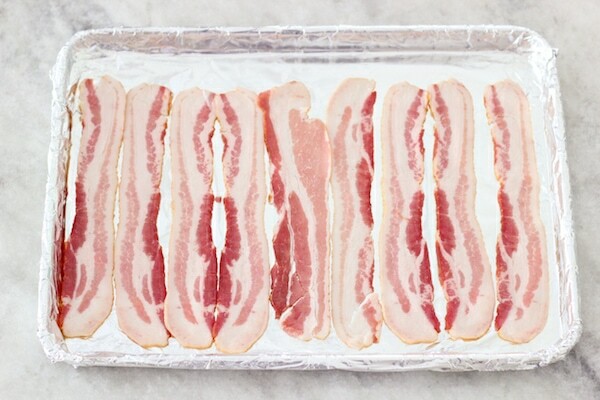 I prefer to cook bacon in the oven – here’s my recipe for the best Oven Cooked Bacon. 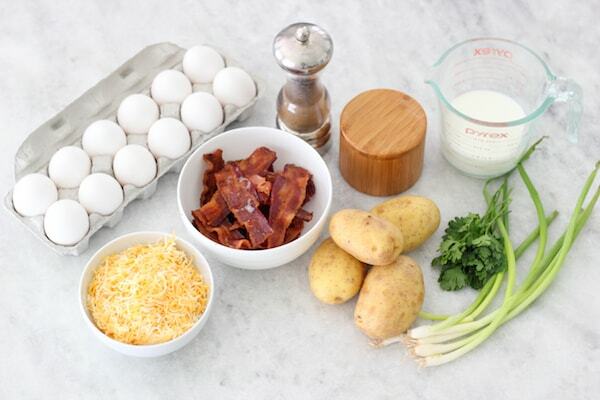 Crumble the bacon or cut it up into small pieces. 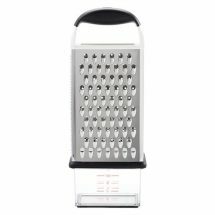 In a large bowl, grate the potatoes on the large holes of a box grater. 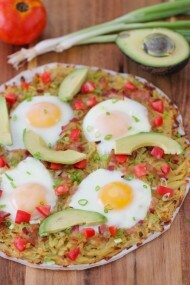 You can also use frozen hash browns instead; it works just as well. 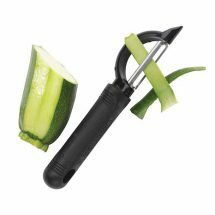 I usually weigh the potatoes and use a bit more than a pound, since it will be less when you peel them and all, so you want approximately 1 pound of the potatoes when they are peeled and grated. 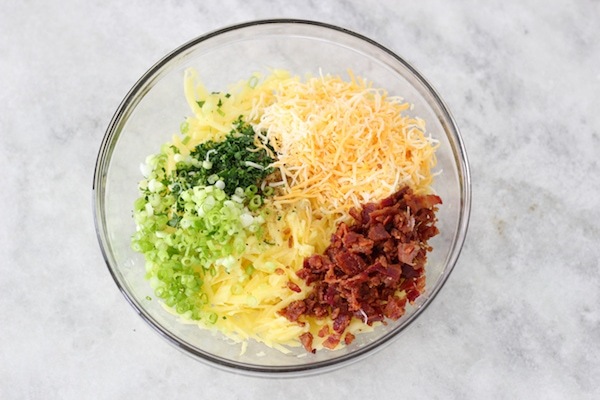 In a large bowl, combine the potatoes, bacon, grated cheese, green onions, parsley and 1/4-1/3 teaspoon of salt and ground black pepper each. You can also add some of your other favorite seasonings, such as dry thyme, rosemary, garlic, or any combination of dry herb seasonings. Mix to combine. 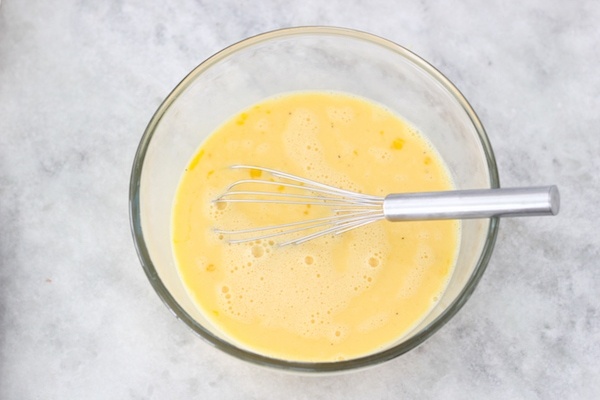 In another large bowl, whisk the eggs until they are evenly mixed and then pour in the milk and season with another 1/2 teaspoon salt and 1/4 teaspoon ground black pepper and mix to combine. 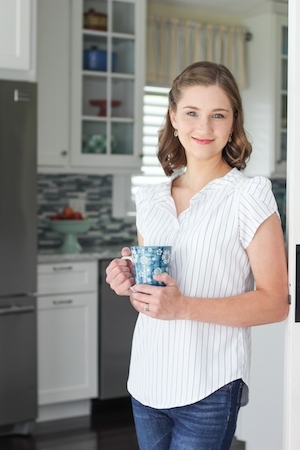 You can do the next step 2 different ways; they both work just as well. 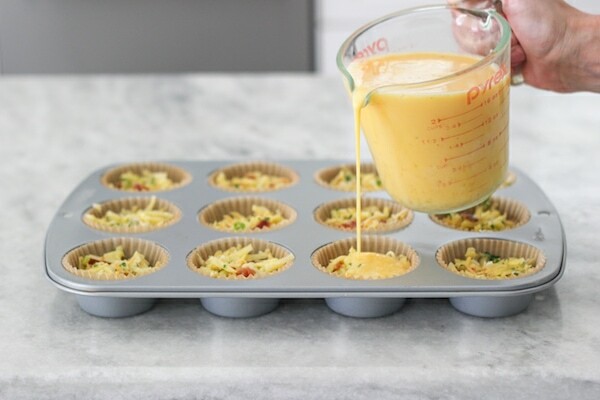 You can either scoop out the potatoes mixture into the prepared muffin tip and then pour in the egg mixture on top (a large liquid measuring cup works really well for this) or mix the potatoes mixture with the eggs and then portion out the potato and egg mixture into the muffin pan. 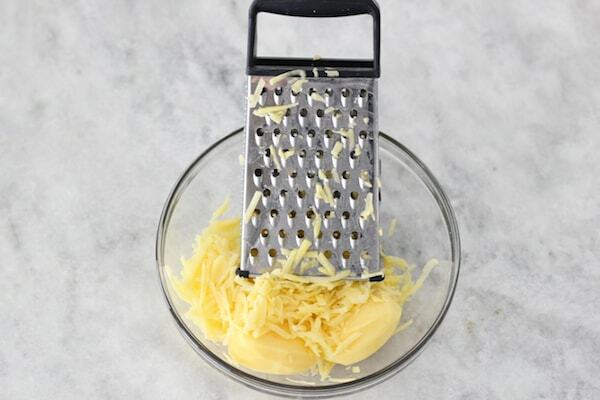 Sprinkle with extra grated cheese on top, if you’d like. 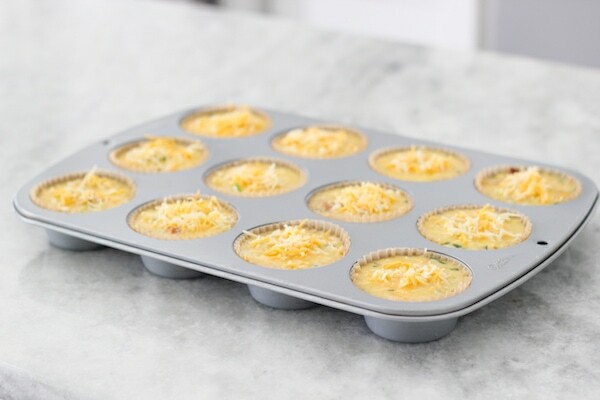 Bake the egg muffins in the preheated oven for about 20 minutes, until the eggs are completely cooked through and golden brown. Preheat the oven to 400 degrees Fahrenheit. 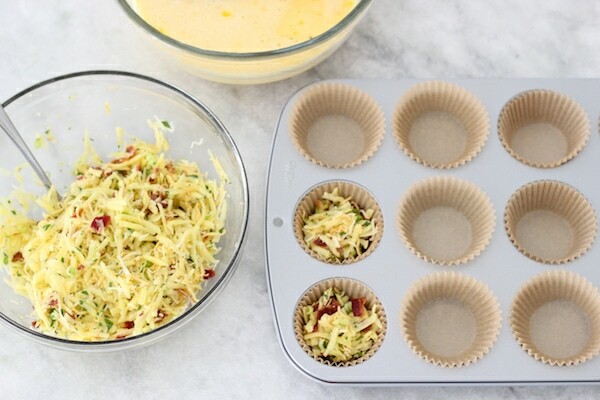 Line 12 muffin pans with cupcake liners. I love these parchment baking liners because nothing sticks to them. They are amazing. Whenever I see them, I stock up, because they aren’t sold in all stores. These are the only cupcake liners I use for everything, cupcakes, muffins and these egg muffins too. Then I don’t have to scrub my muffin pan, which is a real pain. Cook the bacon on the stovetop or in the oven until crisp and golden brown. I prefer to cook bacon in the oven. These look super yummy! I will definitely try.. can you please elaborate on how you freeze them? 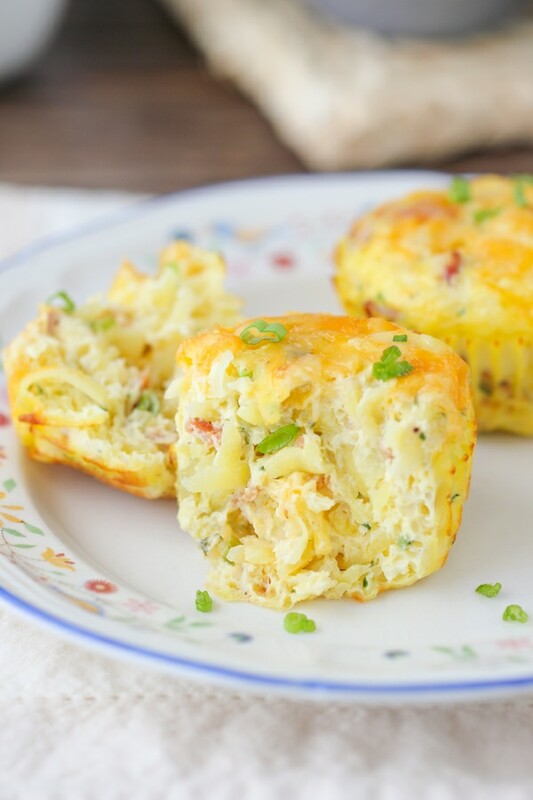 I just put the baked egg muffins in an airtight container or a freezer ziplock bag and freeze, Yana. To thaw/reheat, I pull out as many as I want out of the freezer thaw overnight in the fridge or put them frozen into an oven (400F) or a skillet on low heat, until they are warmed all the way through. The time will depend on your oven/stove. 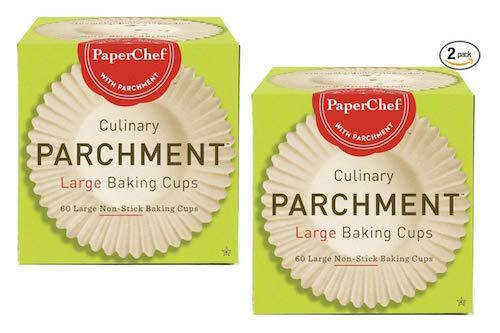 One more question, do you leave the parchment paper cups on or remove them before freezing them? You can do it either way, Yana. Thank you for taking the time to write, Smitha. I’m glad you enjoyed the egg muffins. It’s great that you used whatever you had on hand. You can make so many different variations. Looks good. I make something similar but instead of the cupcake parchment paper I cut out a small square of puff pastry dough and put in each circle and than put in the filling and pour egg mixture and bake. That sounds delicious, Kristina. Thank you for sharing. Other cupcake liners, Jessica. If you have a really great nonstick muffin pan, grease the muffin cups really well with butter or oil and you can bake them without liners. 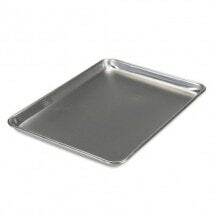 If they do stick to the baking pan, they are kind of a pain to clean. 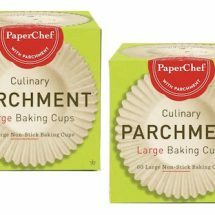 Using parchment baking cup is mainly for convenience. Can the potatos be Yukon? Yes, you can use any potatoes that you like. These look really good! Thanks for another alternative breakfast recipe!